Monday 7:00 a.m. - 11:00 p.m.
Tuesday 7:00 a.m. - 11:00 p.m.
Thursday 7:00 a.m. - 1:00 a.m.
Friday 7:00 a.m. - 2:00 a.m.
Saturday 8:00 a.m. - 2:00 a.m.
March 18, 2019 7:00 a.m. - 7:00 p.m.
March 19, 2019 7:00 a.m. - 7:00 p.m.
March 20, 2019 7:00 a.m. - 7:00 p.m.
March 21, 2019 7:00 a.m. - 7:00 p.m.
March 23, 2019 9:00 a.m. - 5:00 p.m.
May 7, 2019 7:00 a.m. - 1:00 a.m.
May 8, 2019 7:00 a.m. - 1:00 a.m.
May 9, 2019 7:00 a.m. - 1:00 a.m.
May 10, 2019 7:00 a.m. - 1:00 a.m.
May 11, 2019 8:00 a.m. - 1:00 a.m.
May 12, 2019 12:00 p.m. - 1:00 a.m.
May 13, 2019 7:00 a.m. - 1:00 a.m.
May 14, 2019 7:00 a.m. - 1:00 a.m.
Take 35W and merge onto I-94 East and follow the I-94 directions below. From 35W, take the University Avenue/4th Street exit. Turn left at University Avenue and head toward the East Bank. Turn right onto Oak Street, then right onto Fulton Street SE. Fulton Street becomes East River Road. Go down the hill and the East River Road parking garage entrance will be on your right. Take the Huron Boulevard exit from I-94 (north exit only). Take first left onto Fulton Street SE. Fulton Street becomes East River Road. Go down the hill and the East River Road parking garage entrance will be on your right. 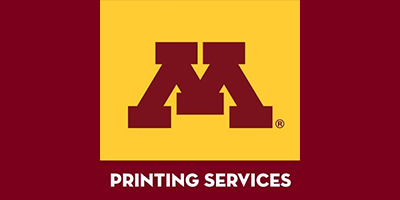 The University of Minnesota offers free campus shuttles between the West Bank, East Bank, and St. Paul campuses. Check the Parking and Transportation Services website for shuttle schedules. Shuttles depart in front of the St. Paul Student Center on Buford Avenue. Trip time to Coffman Union is approximately 15 minutes. 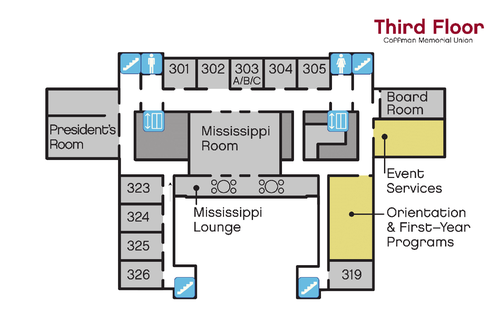 From the West Bank, shuttles stop at the lower level of Blegen Hall on Washington Avenue. When you arrive at the Coffman Union stop, walk south to arrive at Coffman Union. Trip time to Coffman Union is approximately 5 minutes. Shuttles depart in front of the building on Washington Ave. 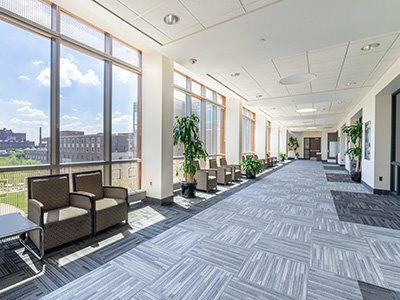 The 1,900 space East River Road Garage provides both disability and short-term parking for Coffman and the East Bank campus. With an attached entrance to the south side of the building, the East River Road Garage is easily accessible from Delaware Street. For rates and maps please visit Parking and Transportation Services. Coffman Memorial Union has two loading docks, one next to each entrance on the east and west sides of the building. 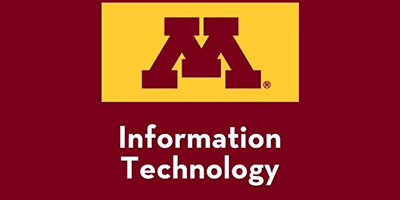 For loading dock utilization, please contact the Event Services office at 612-624-9954. Parking at the loading docks is prohibited and Parking & Transportation Services will ticket if necessary. If you have questions about these options, please contact Parking and Transportation Services (612-626-7275 or parking@umn.edu). The information desks offer various year-round and seasonal discount tickets. For more information on tickets available today and prices, visit the Info Desk. Order your U-Pass online. Bring your U Card and pick up your U-Pass during regular Information Desk hours. 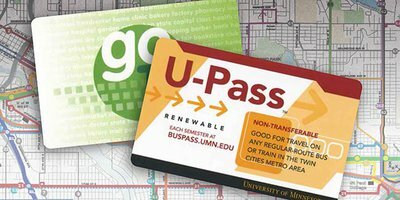 This pass allows you to ride between the three campus light-rail stops on the Metro Green Line without paying a fare. 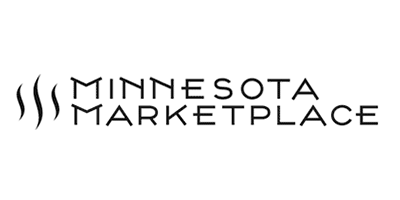 Go-To Cards are an easy way to pay for Metro Transit fare. 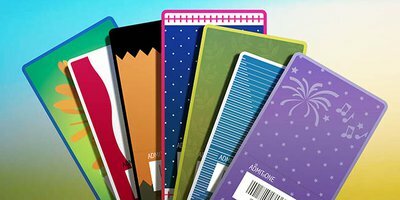 Cards can hold stored value or various Metro Transit passes. 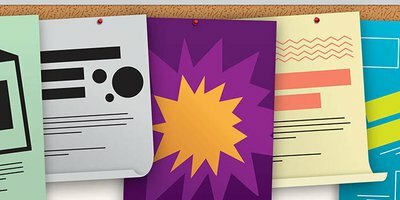 Want to advertise your upcoming event? Drop off your flyers at the Coffman or St. Paul Information Desk and get them displayed. Approval of postings must be received before they will be displayed at posting locations offered around each building. 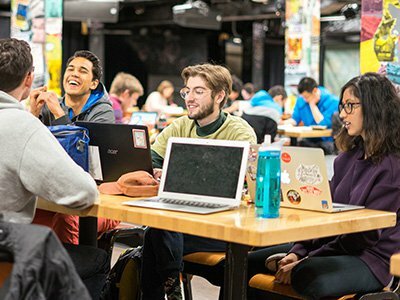 In Coffman Memorial Union, approval will not be given for flyers advertising personal sales of items (i.e. cars, furniture, etc.) or for individuals seeking roommates. 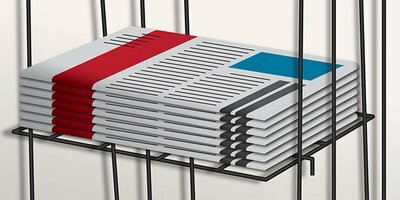 Note: Due to space restrictions, we do not allow postings larger than 11” x 17” (tabloid printer size). Each Information Desk serves as a lost and found for their building. Items are held for two weeks from the day they’re turned in. 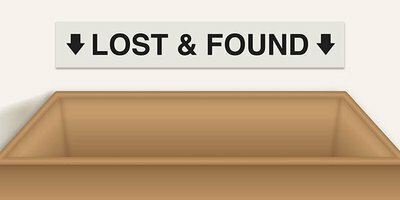 Visit us or call one of the numbers below to inquire about a lost item. The student union locations rent out lockers around campus for your convenience. 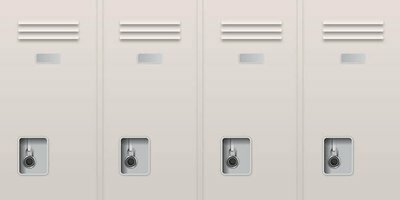 To reserve a locker, fill out the Locker Rental Contract and print it for your records. Locker rentals start on the contract start date. The Information Desks provide literature racks that include free publications from around the Twin Cities area. To inquire about displaying your publication, visit the Coffman Information Desk. In order to serve you better, our Information Desks operate as satellite station locations for the U Card Office. The Coffman Information Desk is available to produce U Cards during operating hours when the U Card Office is closed. The St. Paul Student Center Information Desk is available to produce U Cards during operation hours. Drop off campus mail at the Coffman Info Desk. 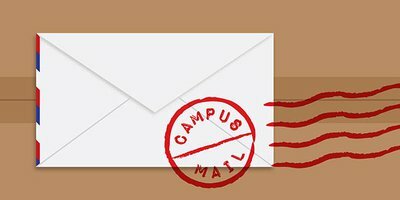 For more information on where to drop off your campus mail or how to address campus mail please visit the campus mail website. 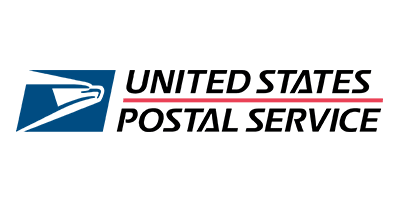 Buy stamps and mail letters and packages at this on-campus postal station. Offers the convenience of a full-service copy center, including full serve B/W and color copying, digital and full-color printing, and more. 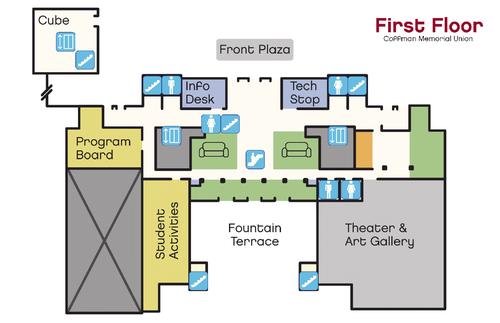 A central location for students, faculty, and staff to receive face-to-face technology support. 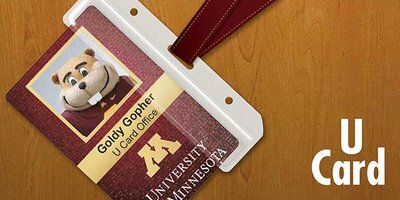 Gopher Express is your convenient on-campus option for meals, snacks and beverages on-the-go. This convenience store offers many vegan, gluten-free and organic food options, as well as craveable classic snacks and soft drinks. 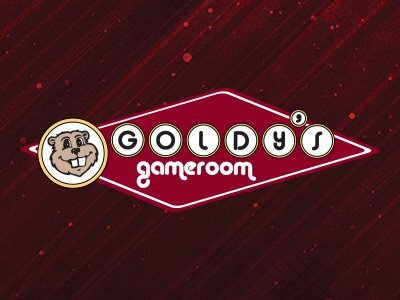 Enjoy bowling, billiards, arcade games, and a full-service snack bar at Goldy’s Gameroom. 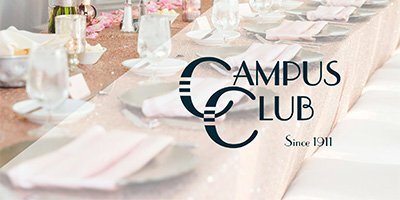 The Campus Club provides an inviting ambiance for an enjoyable members-only dining experience. Offers several food options including Baja Sol Tortilla Grill, Topio’s Pizza, Chick-fil-A, Einstein Bros. Bagels, and more. 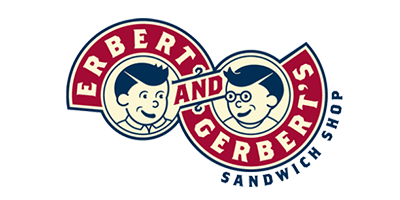 This Bistro sandwich shop serves flavorful hot and cold sandwiches and soup. Chinese cuisine at a great price. 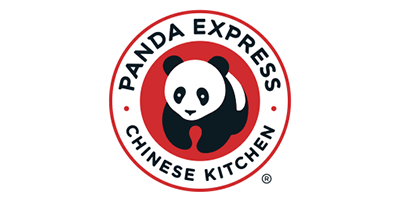 Enjoy traditional favorites like Orange Chicken, Mandarin Chicken, and more. 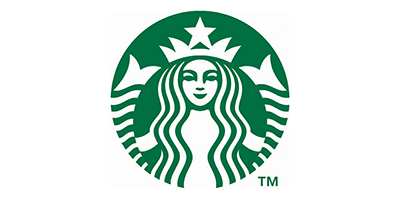 Starbucks offers gourmet brewed coffee, espresso specialties and snacks. 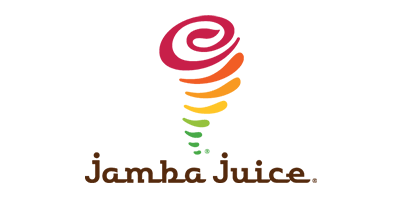 Delicious smoothies and juices including many vegetarian, vegan, dairy-free and gluten-free options. Need background noise while you study? 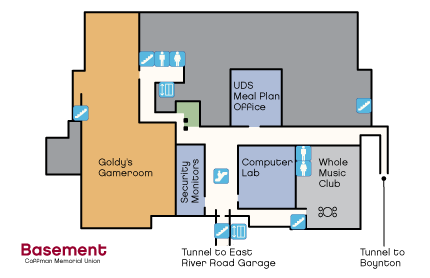 Goldy’s Gameroom offers music, a food bar, and tables & chairs for studying. If you need a computer to study, the computer lab will be perfect. They have Macs and Windows PCs, along with tables and couches. When it is not being used for concerts, the Whole Music Club is open for public study space. There are many tables and couches, which makes it perfect for your personal or group study needs. This study location has chairs and couches that can be used for studying. Vending machines are nearby. This space has a several chairs, tables, and couches and surrounds the Minnesota Marketplace if you need food while you study. This area is located at the back of the Minnesota Marketplace and has plenty of tables and chairs. 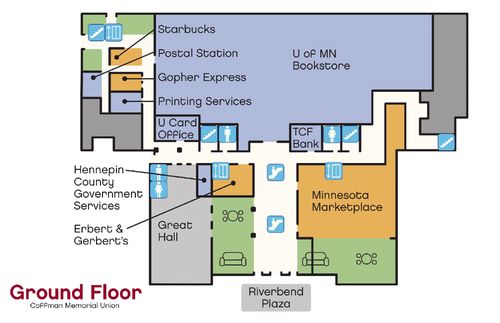 Located at the west end of the ground floor, this space has tables and couches for studying and is located next to Starbucks, the Post Office, and the Gopher Express convenience store. Located on the east end of the building near Jamba Juice, this space has computer kiosks, bus schedules, a plasma TV, and vending area with a microwave. It also has a secluded room for quite study spaces. These lounges have comfortable leather couches and chairs. In the winter, this is a great place to nap and lounge near the warmth of a fire. Vending machines are nearby. Located at the south end of Coffman, this is a great outdoor study space during the warmer months. Sit on the edge of the Pietro Tacca fountain or on one of the terrace’s many tables or benches. With views of the Mississippi River and Fountain Terrace, this lounge is a wonderful place to study. When not reserved for a private event, this location is open to all students. Vending machines are nearby. The main hallway on the third floor has many comfortable leather chairs that are perfect for reading. Vending machines are nearby. 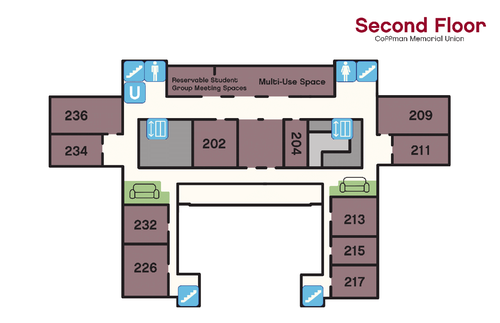 To learn more, visit the second ﬂoor of Coffman Memorial Union or GopherLink.